KIEV, Ukraine -- Ukrainian human rights advocates state that the guaranteeing of human rights has not been a priority for the Ukrainian authorities for last two years. 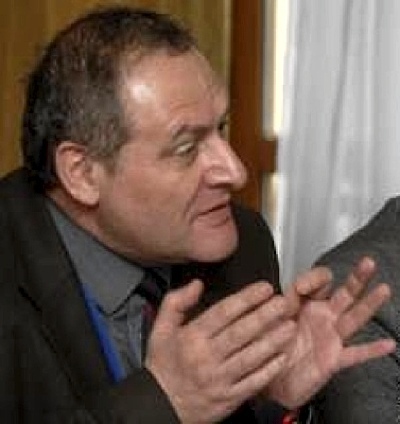 Board Chairman of the Ukrainian Helsinki Human Rights Union (UHHRU) Yevhen Zakharov. "If for the period of 2005-2009 we characterized the human rights policy of the previous administration as unsystematic, chaotic and ineffective, but all in all saw a definite positive effect, then for last two years we must state that human rights have not been a priority for the present authorities." "In fact, they don't even put this issue on the agenda," Board Chairman of the Ukrainian Helsinki Human Rights Union (UHHRU) Yevhen Zakharov said at the press conference at Interfax agency on Tuesday. The worsening of the standard of living, the growth of poverty and social inequality of the population; the radical change in state politics concerning the social payments; pressure on the judiciary and its independence; and cruelty in criminal policy. "Today 25% of Ukrainians say they are poor, but from the point of view of the United Nations Organizations 80% of Ukrainians are poor," the chairman said. According to him, the state restricted rights and benefits of the citizens. "As a result there were many protests. And the attitude of the government towards protesters was shameful. For the first time in twenty years of independence the power demonstrated humiliating contempt of protesters. The authorities treated Chornobyl cleanup workers as criminals, they were prosecuted and unreasonably and unlawfully detained." "The authorities opened fictitious criminal cases against them. And we know for certain that it was on orders from above. I want to say that for Chornobyl veterans it is an implementation of their rights to social protection, and that is their right and not a benefit," he added. As the UHHRU chairman said, today every judge is under the threat of being accused by the Higher Council of Justice of violating his oath, and being dismissed, making them obedient and blind masters to another's will. "Even the judges of the Supreme Court, famous and respectful, have two or three such accusations. Over 800 judges have resigned from their posts in such a situation," Zakharov said. He said that in last two "Human Rights in Ukraine" annual reports there appeared the additional factor of political persecution, which has occurred in Ukraine for the first time, according to experts. In turn, President of the La Strada Ukraine International Women's Rights Center Kateryna Levchenko declared that the defence of women's rights, children's rights, and fighting violence in the family and human trafficking are marginal for the state. Levchenko also pointed out the absence for a year of a body to carry out human rights protection policy. She noted that the Family, Youth and Sports Ministry had been liquidated and no amendments were made to the powers of the Social Policy Ministry. She also said that the state bodies themselves propose to adopt discriminatory legislation. For example, the Interior Ministry took a decision to restrict the access of women to departmental institutes of higher education. In 2012 there are legislative initiatives to introduce a tax on childlessness, and attempts to restrict the use of reproductive technologies for women older than 49 and for unmarried people," she said. The expert said there were restrictions on, or an absence of financing to implement the policy of human rights defence in Ukraine. "There is no money to support crisis centers, create special asylums for victims of violence and human trafficking. Though in 2011 the officials took a decision to redirect the local funds for financing of the programs for Euro 2012, but according to our law such establishments are to be financed from the local budgets," the La Strada President said. Over 50 public organizations, over 80 experts in the human rights sphere prepared the "Human Rights in Ukraine 2011" report. This is a seventh report since 2004.